Workday is the leader in SaaS-based enterprise solutions for global human resources, payroll, and financial management. The Workday Integration Cloud is already operating at scale, with more than 100,000 integrations executed by customers and partners. Workday Integration Cloud offers a lower-cost, lower-risk path to delivering Workday integrations in support of your specific business needs. 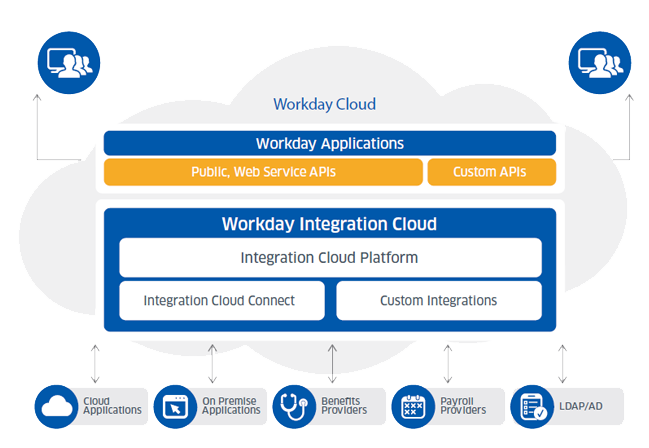 Workday’s integration Platform-as-a-Service (iPaaS) enables both business users and IT developers to build, configure, test, deploy, and manage custom integrations to and from Workday. All integrations are deployed and managed in the Workday Cloud. Workday Integration Cloud Platform may not be sufficient enough for certain integration challenges.